Does anyone else do this?? Am I too isolated?? Does anyone want any pizza coupons???? Muito bacana teu trabalho, parabéns! I hear you! But it's even worse when you know the kids parents. What will they think if you don't support their kids wonderful endeavors? If you say no are you snubbing the parents? Life gets more complicated when you have kids! 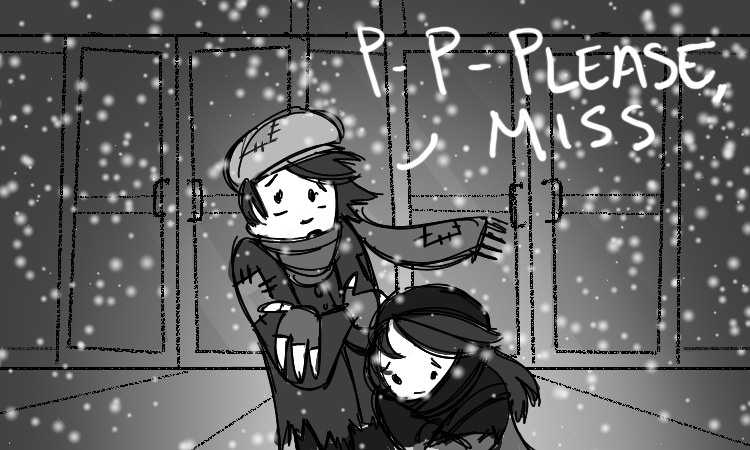 I'm already pretty vulnerable to beggars, but it's worse when they get creative with stories like, "I just need a new pair of clothes and they'll hire me" and I'm like, "blubber blubber of course you can have blubber blubber"
Great drawings, especially the second. LOL I am the exact same way, Heather. ;) Who could resist those poor little orphans with their hopes and dreams? It's like my vision exactly! How did you pick my mind like that? Even in summer I see snowflakes. One of them needs to be coughing in the second panel. Or visibly injured. Then it'd be about right. Yes! 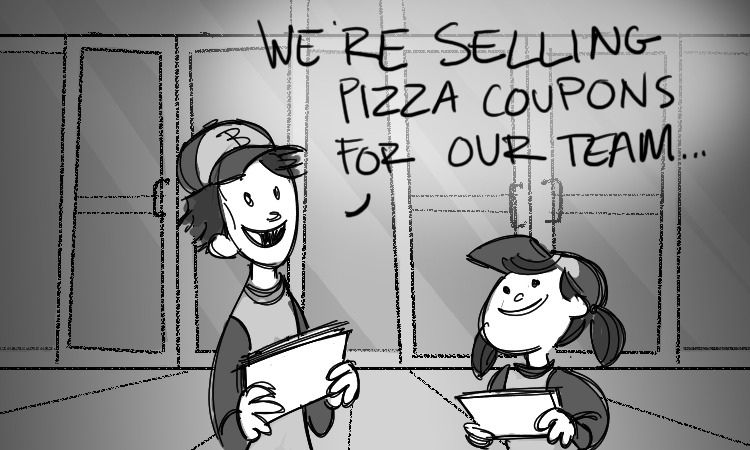 And what do you do if you already bought pizza coupons from the last two kids? And you never used the ones you bought last year? Your heart is TOO WARM! And you got a "muito bacana" from a pernambucano! Just bought mine yesterday… can we say… SUCKERS!!! I just love the character and expression work in the last frame. Those poor kids!